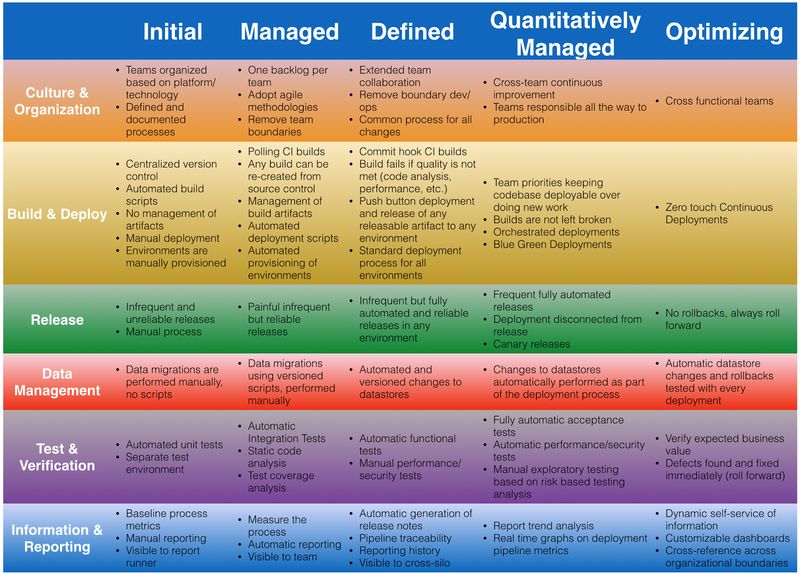 Continuous Delivery and Maturity Model - DevOps. ~ Ahmed AbouZaid! After a quick review of "Continuous integration tools and best practices", I also did read more about "Continuous Delivery (CD)", and I found some great articles about it that worth to read by every sysadmin, developer, and DevOps. 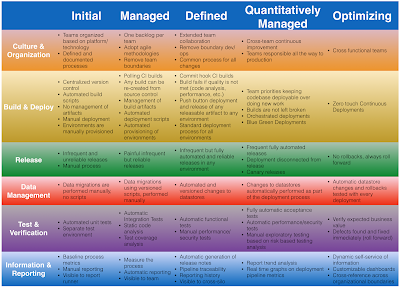 The Continuous Delivery Maturity Model (full post). Continuous Delivery Maturity Model (IBM). Continuous Integration, Delivery, Deployment and Maturity Model. Continuous Delivery Maturity Model (Praqma PDF). One more bonus post I really loved it: Get DevOpstastic! Optimized DevOps! (it's not really about continuous delivery, but DevOps in general).